Pioneers in the industry, we offer ms pin bush couplings, flexible pin bush coupling (rb/pb) series and ci pin bush couplings from India. 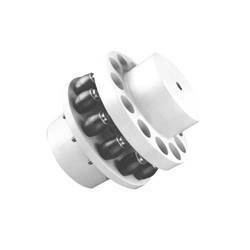 Leveraging on our Rich domain expertise of manufacturing and exporting of a large array of couplings we offer MS Pin Bush Couplings to our clients. These are designed to perform flawlessly at high rotational speeds by absorbing minor misalignment or vibrations. These are made under rigid quality norms in accordance with international standards and offered at reasonable rates to our clients. We have established ourselves as a renowned organization of Flexible Pin Bush Coupling (RB/PB) Series. 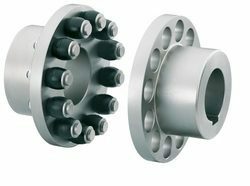 These couplings are made using quality material and modern technology to assure that final output meets with international quality standards and norms. Furthermore, we pack our couplings using premium-packaging material to assure safety during transit. We are manufacturing and exporting of large array of couplings we offer CI Pin Bush Couplings to our clients. 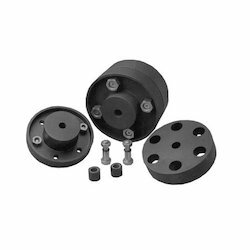 These are designed to perform flawlessly at high rotational speeds by absorbing minor misalignment or vibrations. These are made under rigid quality norms in accordance with international standards and offered at reasonable rates to our clients.